We've been "doing express" for over 40 years, and it remains at the core of our service offering. For over 30 years we have lived the reality that a late newspaper is just wrapping for scraps, and in today's "now" world that same principle applies to everything we carry. The core service areas that we offer are all on a NEXT DAY service schedule. 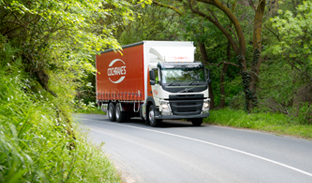 Where required, this can include Saturday and Sunday deliveries on either an adhoc or regular basis (see Tailored Solutions). Destinations outside our core service areas are either on a Next Day or Plus One Day basis, and you should discuss this with us as needed. If a consistent express solution is critical to your business and your customers, contact us to see how we can help meet your objectives and improve your service. If servicing Adelaide from interstate on a NEXT DAY basis is important to your business, then we have the solutions to help. 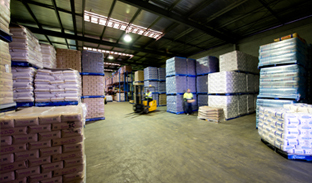 Our cross-dock and distribution solution for interstate customers sees most linehaul unloaded as they arrive in Adelaide at any time of the night, so the freight is available to our fleet for metropolitan delivery first thing in the morning. One of our key goals is that we'd like to be "easy to do business with". We know however that sometimes we'll see things from a different perspective than others, so our Terms and Conditions of trade do matter. Contact us now to see out how we can work together. 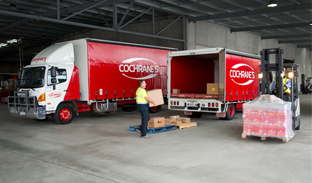 Cochrane's Transport offers exceptional customer service and competitive prices. We would highly recommend them to anyone. Working with Cochrane's for over 15 years we have established a high degree of trust in them. We know that when they freight our products we will get first class treatment. Utilising their areas of expertise allows us to focus our time and energy on other projects - the way it should be. No matter how complex your requirement is, Cochrane's is the supply chain partner you can trust. TALK TO US TODAY. Join our eNewsletter for you chance to WIN free movie gift cards.